It is true sleep is essential for overall health, but there is such a thing as too much sleep. If you are plagued with fatigue and cannot muster the energy to tackle daily tasks like you used to, it may be time to visit your doctor. Too much sleep does not just refer to nighttime sleep. It also includes time spent in bed not sleeping, on the sofa napping or feeling tired, day or night. Interrupted sleep patterns and underlying health conditions are two primary reasons people may feel this overwhelming sense of fatigue. 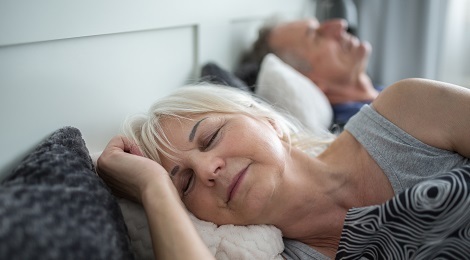 Nagamalar Raju, M.D., a sleep specialist at Piedmont, says establishing a bedtime routine and sticking with it even on weekends can do wonders for someone struggling with fatigue. To promote healthy sleep patterns, Dr. Raju recommends exercising routinely and avoiding alcohol, cigarettes, and heavy meals in the evening. She also encourages patients to pay attention to their individual needs by assessing how they feel on different amounts of sleep. Do you need at least nine hours of quality ZZZs each night to feel rested? Do you have health issues, such as obesity or heart disease? Are you at risk for any diseases? Are you experiencing any other sleep problems? Sleep apnea. Sleep apnea occurs when breathing is frequently interrupted, which negatively impacts your state of rest and repair. 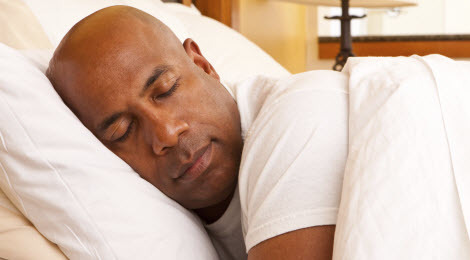 One telltale sign of sleep apnea is if you feel tired after a full night’s sleep. Anemia. Anemia affects roughly 3.5 million Americans. It occurs when your blood lacks enough healthy red blood cells, which results in a lack of oxygen being carried throughout your body. This drains your energy. Hypothyroidism. Your thyroid controls the speed at which your body converts fuel into energy. When this gland is not functioning at peak performance, you may feel sluggish. Diabetes. People with diabetes who have high sugar levels often suffer from low energy because sugar remains in the blood stream rather than entering the body’s cells and being turned into fuel for energy. Heart disease. When it becomes increasingly difficult to finish simple tasks that were once easy, talk to your doctor about underlying heart disease. Getting too much sleep can be just as harmful to your health as getting too little sleep. It is important to figure out the root of the problem. A sleep specialist can help.